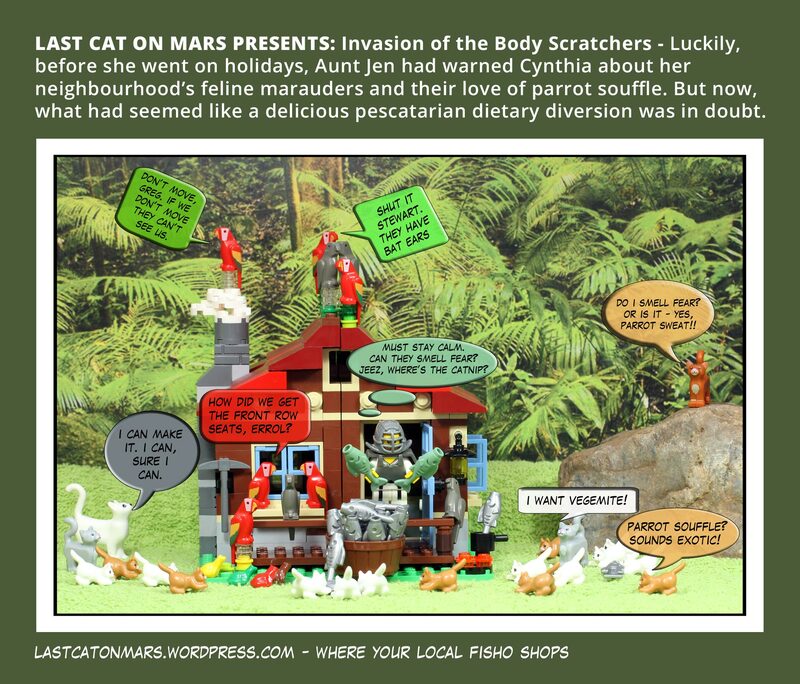 This entry was posted in Variety Show and tagged cats, Dr on Mars, fish, kittens, Last Cat, lego, minifigures, parrots on April 29, 2015 by Jay Verney. 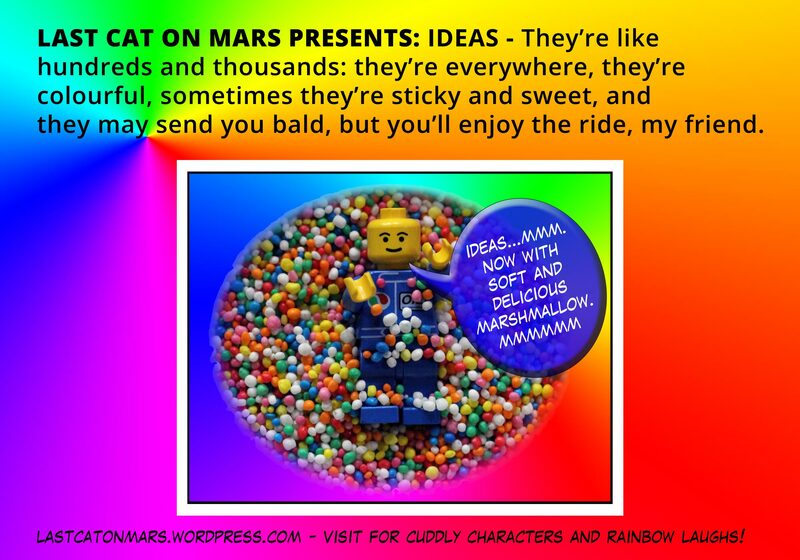 This entry was posted in Variety Show and tagged hundreds and thousands, ideas, lego, marshmallow, minifigure, rainbow on April 22, 2015 by Jay Verney. 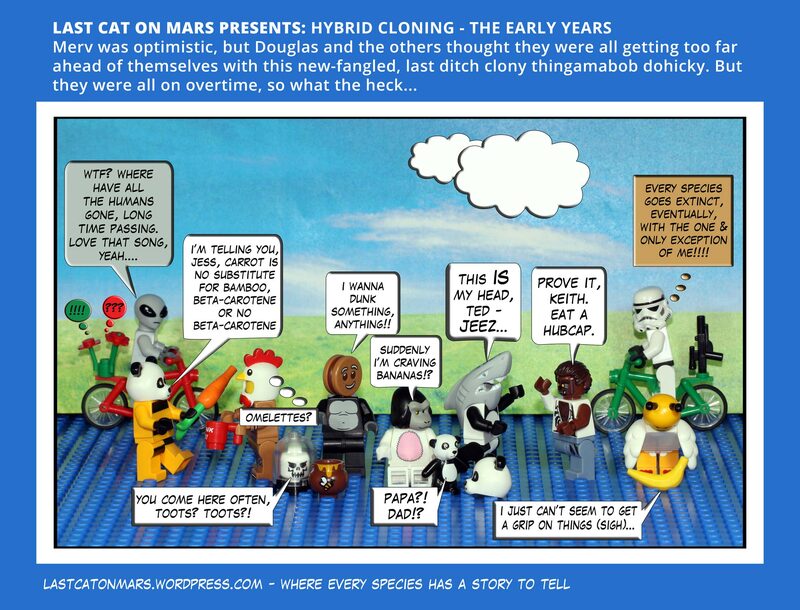 This entry was posted in Variety Show and tagged alien, cloning, hybrids, lego, minifigures, Stormtrooper on April 15, 2015 by Jay Verney. 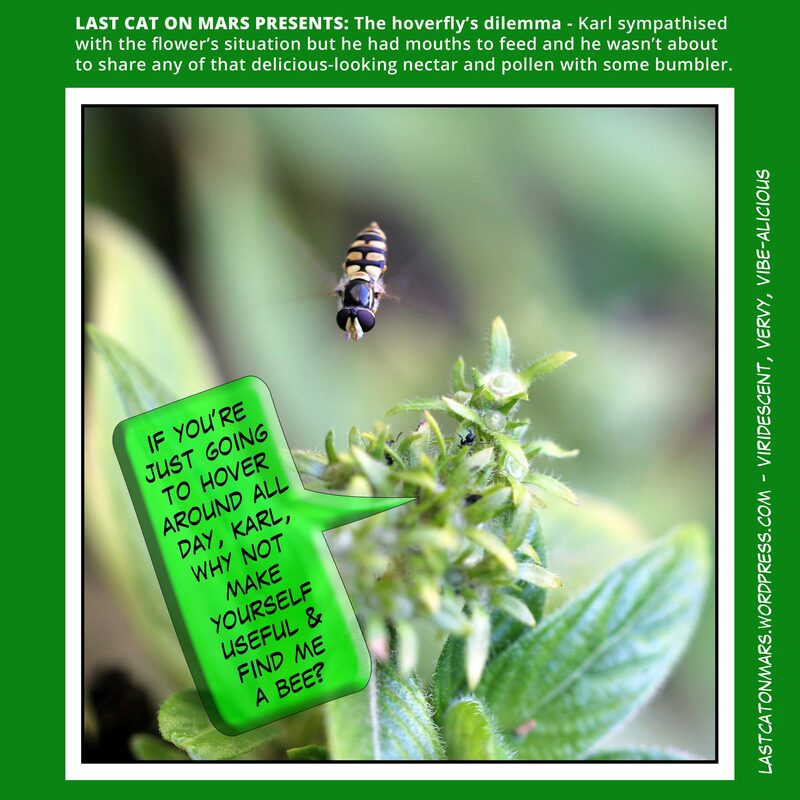 This entry was posted in Variety Show and tagged flower, garden, hoverfly on April 8, 2015 by Jay Verney. 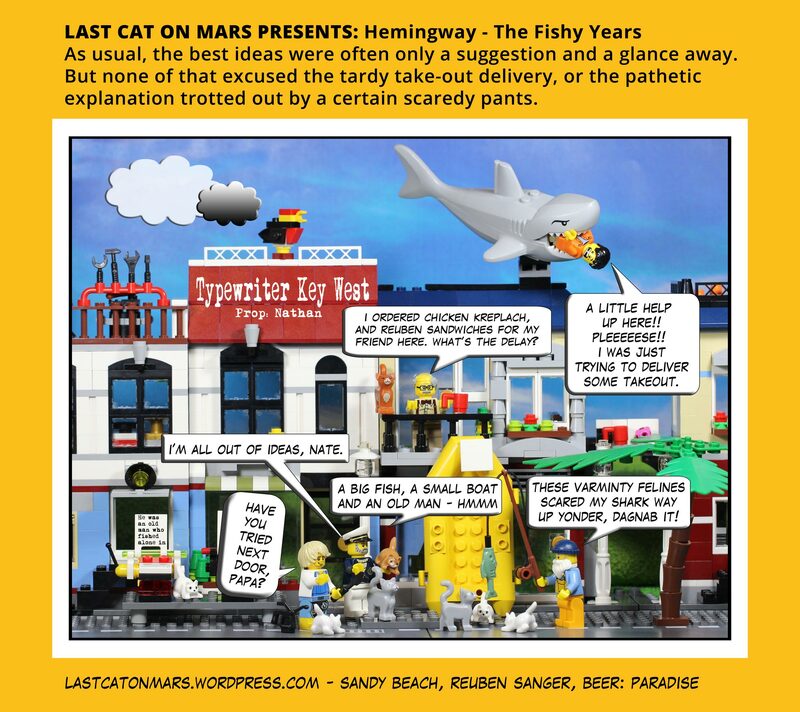 This entry was posted in Variety Show and tagged boat, cats, fish, Hemingway, Key West, lego, minifigures, old man, shark on April 1, 2015 by Jay Verney.